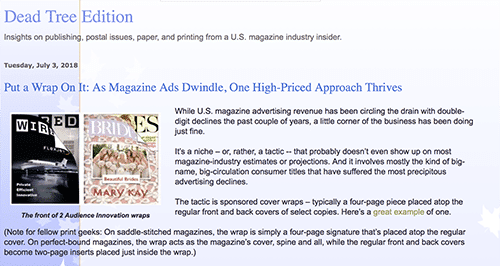 We’re featured in this article about these campaigns, “Put a Wrap On It” … just released today by a well-known blogger on the publishing industry. As a side note, we deliver assets for both magazine partners and our clients, as we serve both ends of this spectrum. And, the results for both are an ecstatic win/win, as cliche as that may sound. Feel free to reach out if you have questions. And, Happy 4th of July to each of you ??????????? ?